Seen here, the left hand is supporting the lens. Very important! Despite its heft, size, and even cartoonishly disproportionate appearance, the Nikon 180mm f/2.8 AI-s ED is an odd, yet intriguing lens in use. It is one of the few hand-holdable, long, and FAST prime lenses that I know of, especially those made by Nikon (the only other one out there is the autofocus version of this lens!). What usually comes to mind for nowadays’ fast telephotos are the bulky 200mm f/2’s, the monster 300mm f/2.8’s, and even the gargantuan 400mm f/2.8’s. Though these lenses are indeed fast and long, they are far from being walk-around lenses; the main (if only) times they will be seen deployed in the field is on a monopod or tripod. The cost is nothing to sneeze at either, google any of these focal lengths and apertures and you will find lenses in the multi-thousands of dollars, even used. 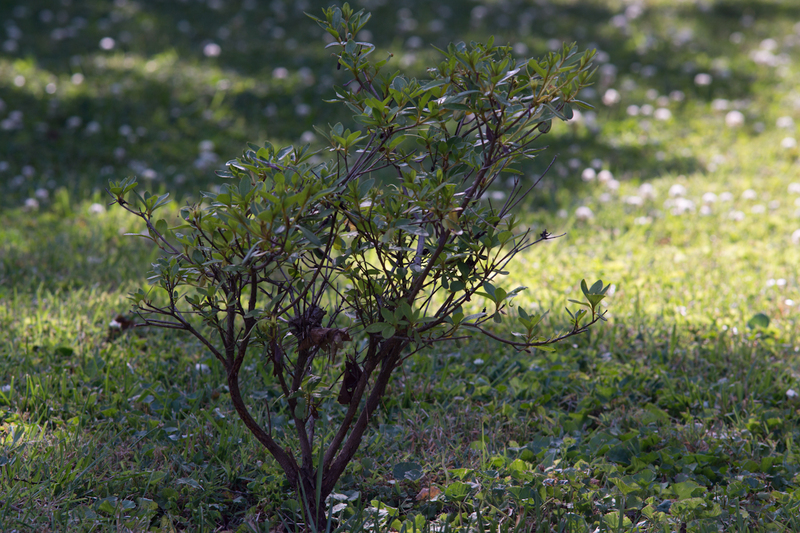 Though the 180mm is “only” an f/2.8, it is still very, very fast for its focal length. But what’s the point of using a 180mm fast prime anyway when most all super-zoom lenses go to 200mm and sometimes beyond? Well, besides taking advantage of the inherent feel of shooting a prime, by “zooming” with the feet to create different perspectives and compositions, there are other key points to consider. A couple minor ones first: usually when one spends the same amount of money on a prime as a zoom, the prime will almost always outperform the zoom lens at the equivalent focal lengths (however, there are always exceptions to every rule). Also, prime lenses tend to have less glass elements than their zoom counterparts—this usually means more light can be transmitted through the lens, and there are less chances for architectural-photography-degrading distortion. For the big point though, with the fast f/2.8 aperture (which is more than useful with this lens), the 180mm lets in four times as much light as even the fast Nikon 18-200mm f/3.5-5.6 VR at the same focal length. Even this point is multifaceted: 1. The 180mm can use a faster shutter speed in low light, stopping motion whereas the VR in the 18-200 merely keeps the optics steady. 2. On average, the ISO values in shots will be around two stops lower when using the 180mm, a key advantage in controlling pixel-level noise (for instance, the difference between shooting at ISO 1600 and 6400—two stops difference—is extremely noticeable on high resolution cameras such as the NEX-7 even on the image level). 3. At a distance and at maximum apertures, the 180mm will always have a noticeably shallower depth of field (the distance perpendicular to the lens that is in focus), which comes in handy to separate subjects from the fore/background. Just some numbers for you to crunch: on an APS-C sensor using the 180mm focal length, the depth of field when focused on an object 50 feet away at f/2.8 is 2.63 feet. At f/5.6? 5.27 feet. Though the difference may seem small, take note that the effect of the larger aperture also influences just how far out of focus the fore/background is as it moves away from the subject. It can mean the difference between seeing nothing but a blur behind the subject, or having a distracting background. This effect is shown below. It is important to mention that as the distance to the camera decreases, the depth of field becomes so shallow on both lenses that the differences start to go away. Though not an interesting subject artistically in the least, in this first shot, taken at f/2.8 and a close 15 feet, the background is mostly indiscernible, most all highlights are seen as faint circles, and the grass blends together into washes of green. Even at this close distance though, the difference stopping down only to f/5.6 is instantly noticeable, more of the area around the subject is in focus (lending itself to be distracting), the grass doesn’t blend into one mass of color very fast, and some of the “highlights” as seen is the previous photo can now be made out as small flowers! Now that that’s out of the way, let’s move on to the review! Close Focus: Marked at 6 feet/1.8 meters, but you can get a tad closer. Do not treat this lens as a macro lens. Miscellaneous: 9 straight-bladed aperture stopping down to a helpful f/32 (for longer exposures/increased depth of field), 72mm filter thread (metal), built-in telescoping lens hood (very handy for keeping harsh light from bouncing off the front element), one big element of ED glass that is effective in reducing chromatic aberrations (discussed later). Also, the lens focuses a little past infinity (with a hard stop at its end) due to the nature of the ED element, which performs differently as temperature changes. Focus at infinity, hood extended. The front lens assembly moves outward as the focus distance decreases, adding about another inch to the overall length. Unlike the deceptively awkward dimensions of the 105mm f/1.8 AI-s, which was actually very balanced and comfortable to use, the 180mm is very noticeably approaching the limit of length and weight that should be mounted onto a NEX-7 for hand-held use. Any heavier, the whole kit would weigh down the neck, and would eventually be too heavy to hold up for extended periods of time. 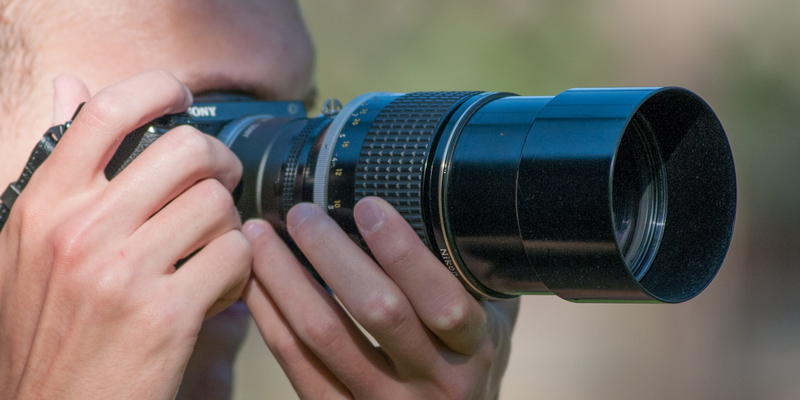 Any longer (focal length wise), and acquiring critical focus with the manual focus zoom-in feature would be accomplishable only by a surgeon’s hands. Like I said, this set-up is approaching these limits, but is not there yet. The whole kit can (and does) hang from the neck for a long time, and keeping it up to the face isn’t tiresome. With good technique, critical focus is regularly nailed via zoom-in. The construction of the 180mm f/2.8 is typical of Nikkor AI-s lenses, which have been previously described by others to no end as the pinnacle of lens craftsmanship. Everything, save for the glass and paint in the engravings, is metal. Everything. The mount, the barrel, the hood, the filter threads, you name it. Though I would hate to drop the almost two pounds of this on anything (or anybody), I’m sure whatever it hits would be in much worse shape than the lens. The focus on my copy, which turns a long 180 degrees (great for precise focusing, bad for rapid focus acquisition), is buttery-smooth and evenly damped throughout the range, surprising given how much glass and metal is being moved around as it turns! 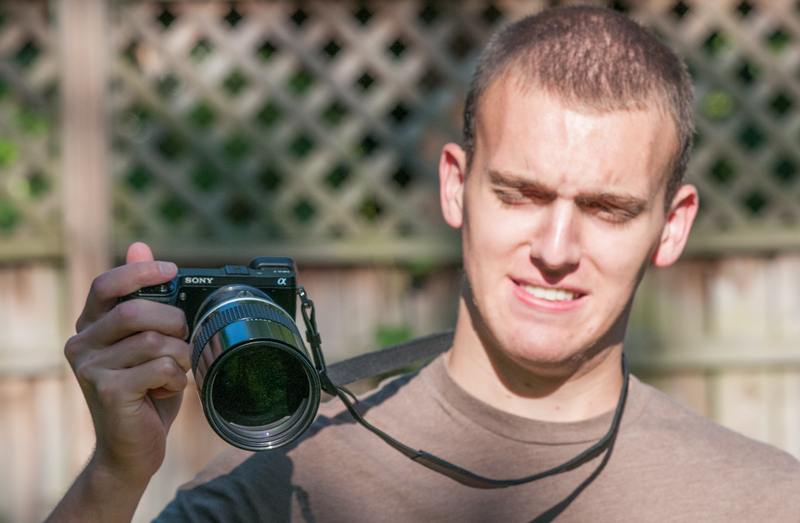 If my facial expression didn’t give it away, I highly recommend AGAINST trying to shoot one-handed with this lens. Though the mount can surely take the weight, your wrist may not take too kindly to the task given. The Nikon 180mm f/2.8 AI-s ED is a lens that was designed for large aperture (f/2.8-4) usage. It performs admirably on almost all fronts, with no glaring negatives to tarnish its reputation. If you need the 180mm focal length (270mm equivalent field of view compared with a full-frame sensor camera) and fast aperture to benefit your photography, go ahead and hunt down a copy. I got mine for just over $375; copies in excellent or mint shape are more expensive, while “beaters” (cosmetically ugly but optically functional lenses) should be a little less. However, if you find yourself happy with your 18-200 superzoom, even with the five-times-as-slow SEL18200 on your NEX, you may want to pass; the Nikon is noticeably heavier (by 10 ounces), and obviously is manual-focus only. 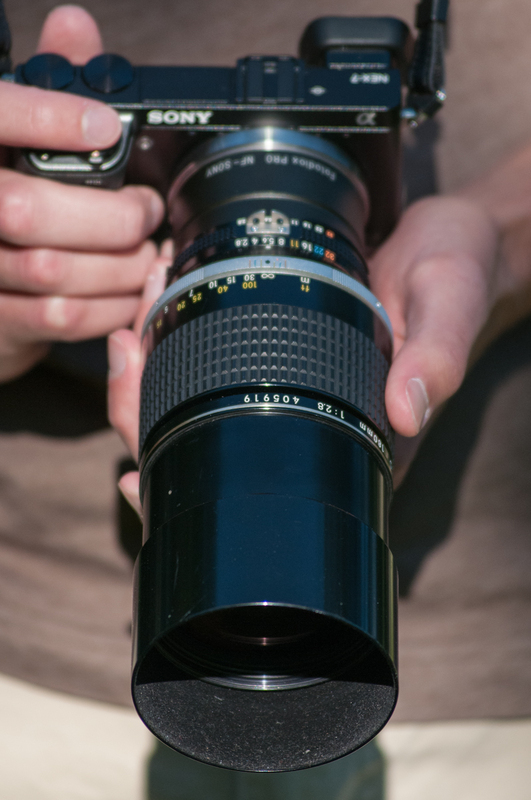 That said, for close-up sports, headshots, and shallow depth of field photos, this is definitely a lens to consider. Though sharpness is supposed to be only a small factor in a lens’ performance, many feel it is the most important. I personally fall somewhere in the middle. I love seeing pixel-level sharpness, but it isn’t terribly important that all my shots are sharp when viewing at 100%. With that in mind, I have found the 180mm to have odd performance characteristics with regards to sharpness. For these tests the camera was placed on a tripod, and the exposures were tripped with a remote release. 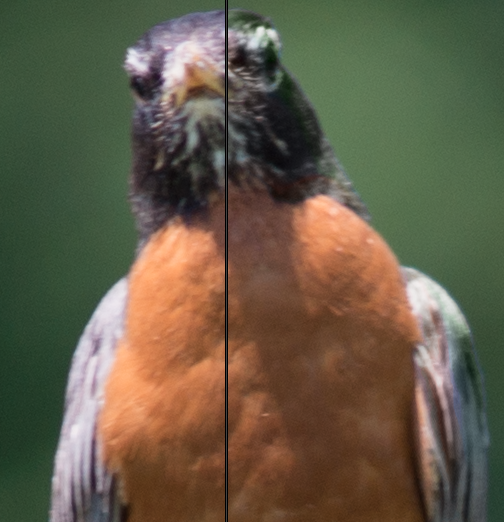 At normal to infinity distances, pixel level sharpness is great, but at the focusing distance for the lens test chart (about 10 feet), detail at 100% seems to be lacking. I have redone the testing three times and have found the same results. 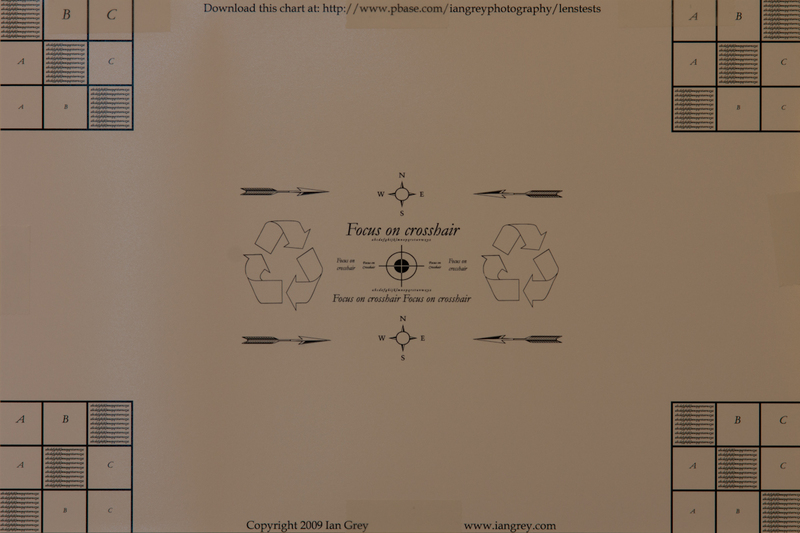 At the printed size (8×12 for this test, my 12×18 print didn’t turn out as well), the 19 megapixel chart is well over 300dpi, so I am not particularly sure what is going on here. When I look at these crops I have to wonder what is going on. There are some odd exposure differences at f/2.8 and f/32, for starters. 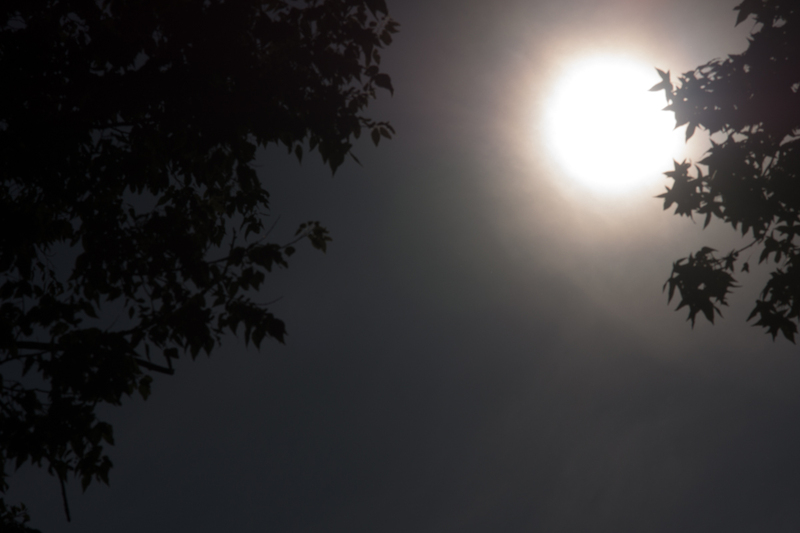 At f/2.8, there is plenty of detail, though it is covered due to some spherical aberration. What is strange though, from f/4 to f/11 I can’t notice any difference in sharpness (contrast has improved from f/2.8), save for comparing f/4 and f/11 at 300% (which is just impractical). Finally by f/16 on, diffraction sets in. By f/32, diffraction strikes with a vengeance, pixel-level detail and contrast are completely obliterated. These results may seem less sharp than the tests in my 105mm f/1.8 review, but remember, on those tests the chart was a smaller chart printed at a much lower resolution. 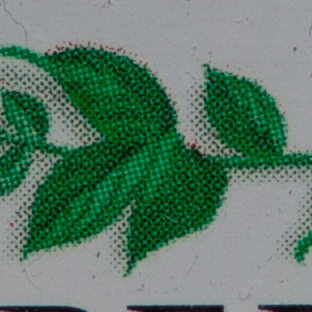 In that review the individual printed dots were actually being out-resolved. APS-C sensors enjoy something of a “sweet-spot” advantage when using full-frame designed glass when it comes to corner performance, as the sensor is really using just more of the center portion of the lens. This lens is no exception, but what surprises me is just how good the corners are even wide open. There is absolutely ZERO smearing. At f/4, sharpness and contrast has improved some. 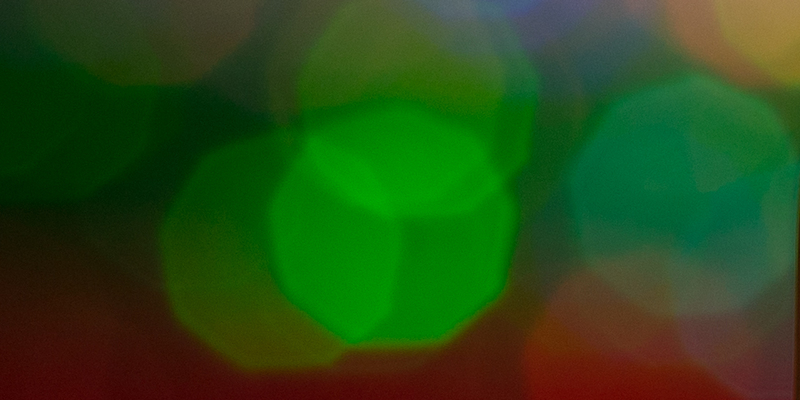 From f/5.6 to f/11 the corners are optimum, and diffraction sets in this time noticeably at f/16 on. By f/32, detail and contrast are completely gone. So getting back to wide open performance, I’ve already mentioned the “sweet spot” advantage, but there should at least be some corner smearing…right? Queue speculation: this lens has a contant “aperture” near the rear of the lens assembly. 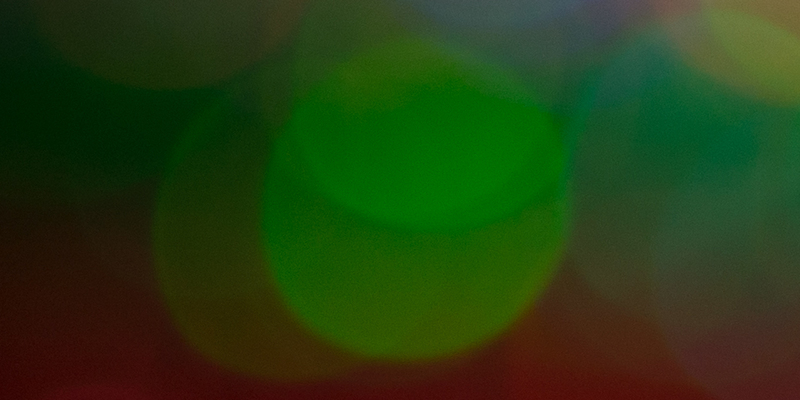 This fully circular ring could be serving to act as a “stopped down” aperture, in this instance right at f/2.8. Perhaps if this feature wasn’t in the lens the actual aperture could have been wider? See below shot to see what I mean. Just to confirm that it may be the chart giving the appearance of reduced sharpness from the last lens test, I took the lens out to get a few infinity-focused shots of the moon at various apertures. Interestingly enough, the captures followed the same pattern as in the chart tests. All of the shots (taken from f/2.8 to f/11) looked the same as the shot below. The only difference was reduced contrast at f/2.8. In this 100% crop taken at the “optimum” f/5.6, pixel-level detail is super sharp and contrasty, but f/4-f/8 (and probably f/11) look exactly the same! And just like the tests, corner sharpness was just as good! As I mentioned earlier in the review, this lens doesn’t focus close enough to even be considered as a “serious” macro lens. That said, performance at this range of about 6 feet can be important to those who need it. In this set-up shot below (which will also be used to assess highlight bokeh), the optimum aperture up close is still f/5.6, diffraction is slightly noticeable at f/8, but it almost looks as good. At f/5.6 and at close focus, it is super sharp and contrasty! 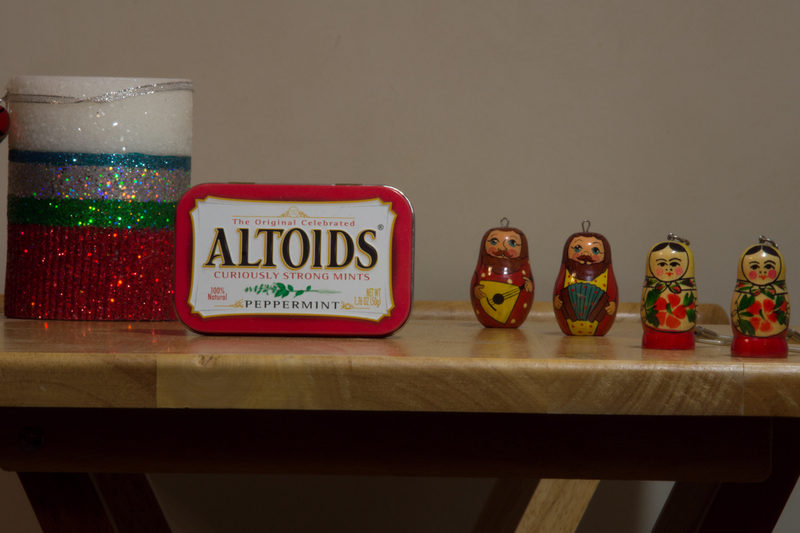 This simple set-up (shot at f/32 to get everything in focus), consists of the altoids box for a center focus-point, staggered russian dolls to asses fore/background bokeh, and a sparkled decoration to asses highlight bokeh. 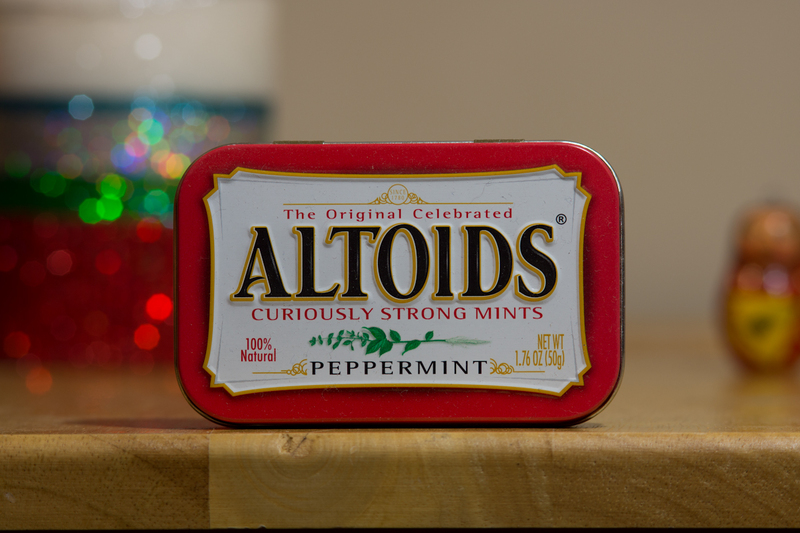 In these sample shots, the backgrounds have a characteristic “smooth” blur quality, while the immediate foreground bokeh (closest to the altoids box) is also pretty smooth. However, as things get closer to the camera, bokeh becomes more “busy”, I see some doubling rather than blurring at the larger apertures. 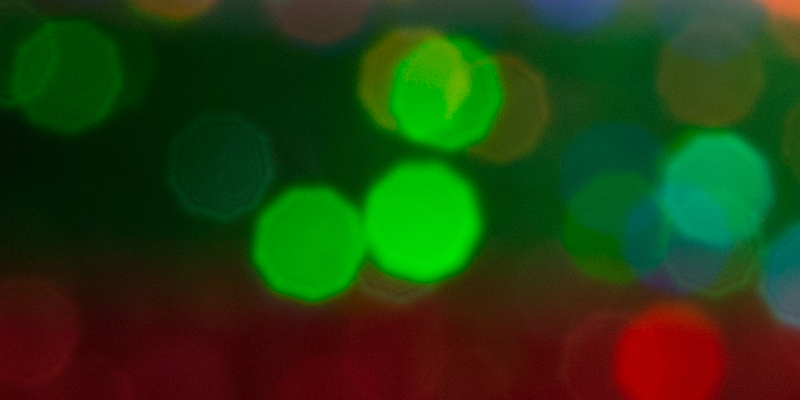 Overall the bokeh is very nice, so long as close foreground objects are not in the frame. Avoid these if you can help it. 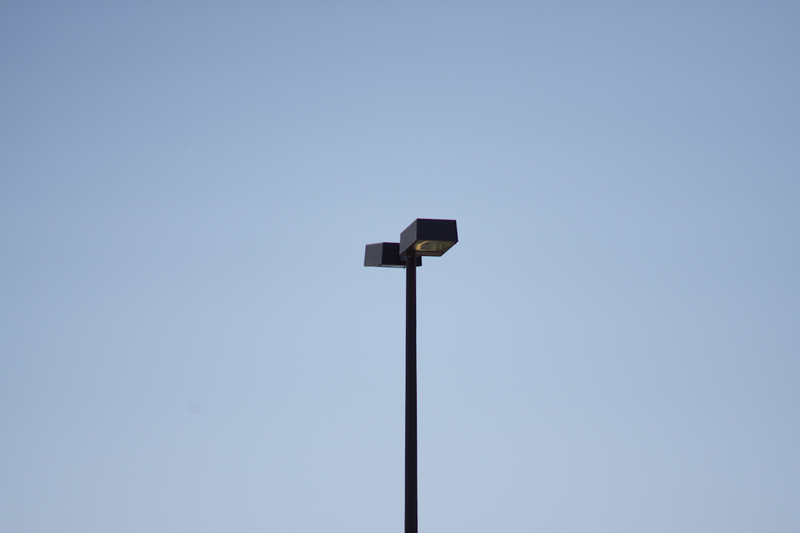 On the left in this side-by-side 100% crop is a streetlight shot at f/2.8. There is just the slightest amount of purple fringing visible. 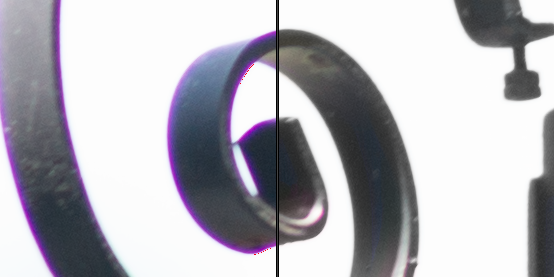 On the right is the other half of the same picture, but corrected for no fringing. In this before-and-after, shot at f/2.8 (too low a shutter speed so there is motion blur), there’s nothing to worry about with a tad of post processing. This before-and-after 100% crop is the absolute worse-case-scenario. Here by severely over-exposing the sky on this gate decoration at f/2.8 I finally got pretty bad fringing, but even this is almost completely correctable. 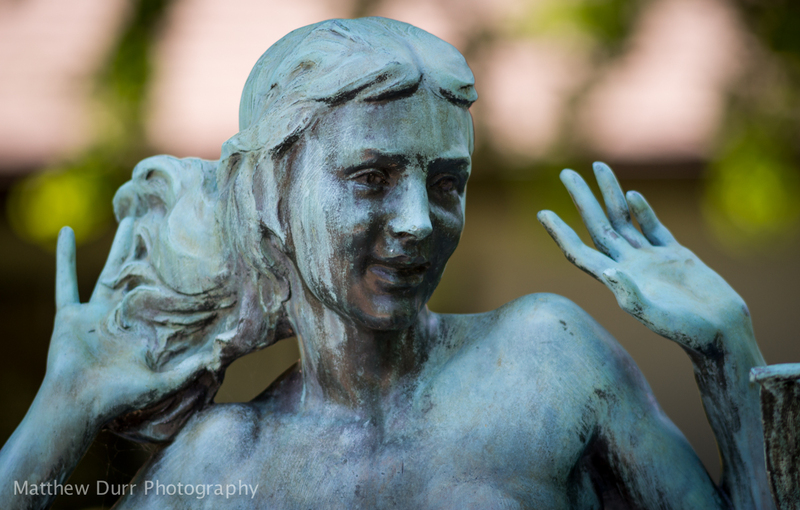 Three cheers for Lightroom 4.1, eh? Personally I’m still amazed with the way Lightroom 4.1 can handle purple fringing, it makes any fast prime infinitely more useable in more conditions. 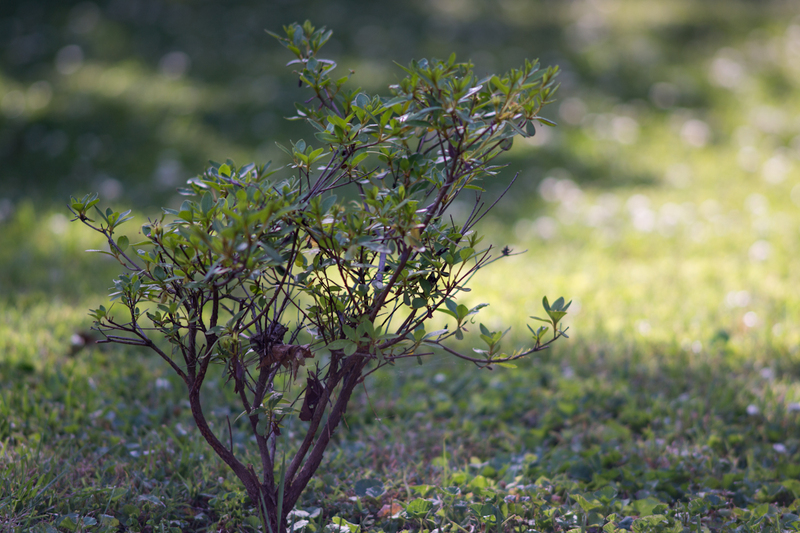 If you couldn’t already tell, the ED element in the 180mm f/2.8 keeps purple fringing to a very low level. If you don’t mind a bit of post-processing in extreme contrast situations, just shoot this baby wide open all the time. The large blob can barely be seen in the upper right quadrant. I actually had to modify the exposure to get it to show up at all. By extending the hood the blob goes away completely. No matter how much I messed around with the exposure, I couldn’t find any more internal reflection blobs besides the large yet faint one in the previous image. Well done! And when the sun is centered? 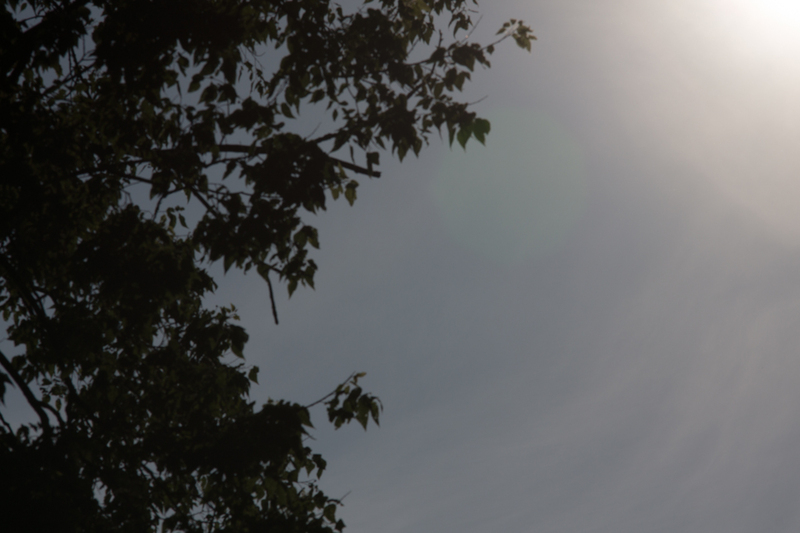 With the sun centered, there are no blobs, but contrast is lowered due to veiling flare. A great performance in this regard as well. 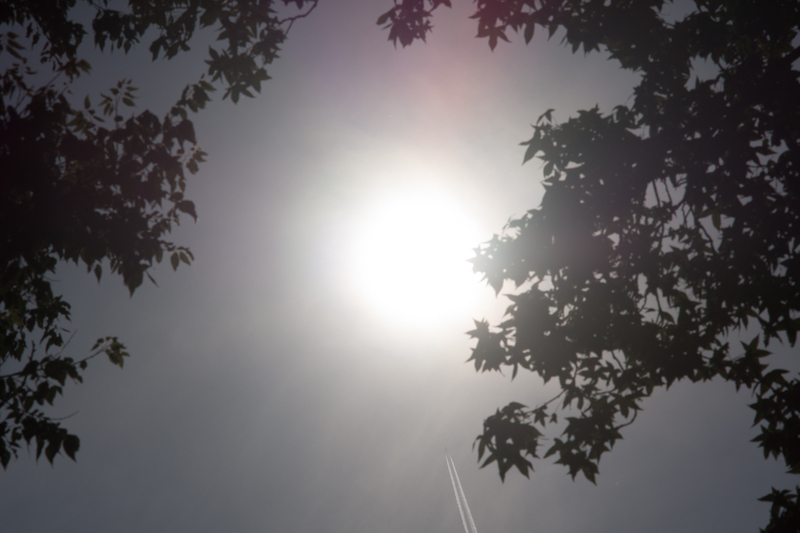 Note, that is a jet and its contrail, not a lens artifact in the lower part of the image. Rest assured that whenever a strong light source is near or in the frame with the 180mm f/2.8, it won’t cause too much trouble. Vignetting, to put it simply, are darkened corners as a result of shooting near the wide open aperture. One of the other sweet spot advantages when using a “full frame” lens on an APS-C sensor is the relative absence of vignetting. This applies to the 180mm f/2.8 wide open and at any stopped-down aperture. There is no noticeable vignetting in any shots. There is technically a small amount of vignetting (+10 correction (out of 100) needed in LR4 to get complete uniformity), but it is completely unnoticeable in pictures without a solid background. 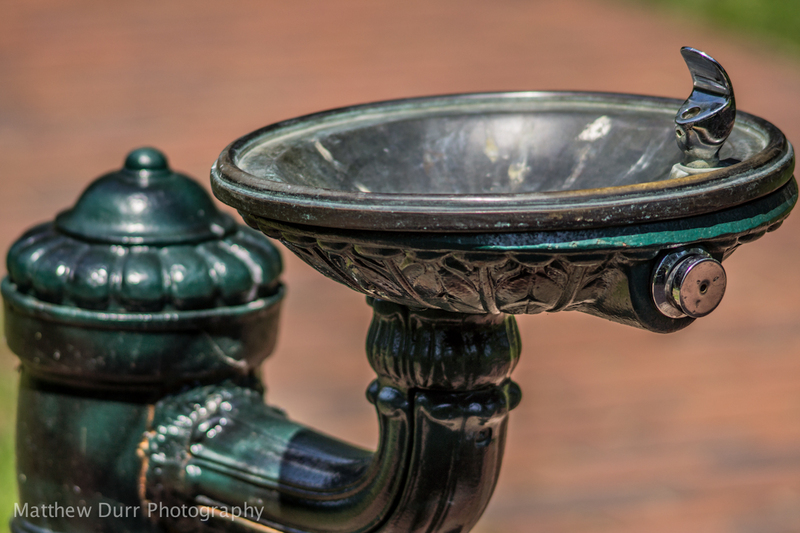 Oddly enough the 105mm f/1.8 needed the exact same amount of correction wide open. After overlaying multiple different gridlines on my test chart pictures, I still cannot find any signs of distortion. 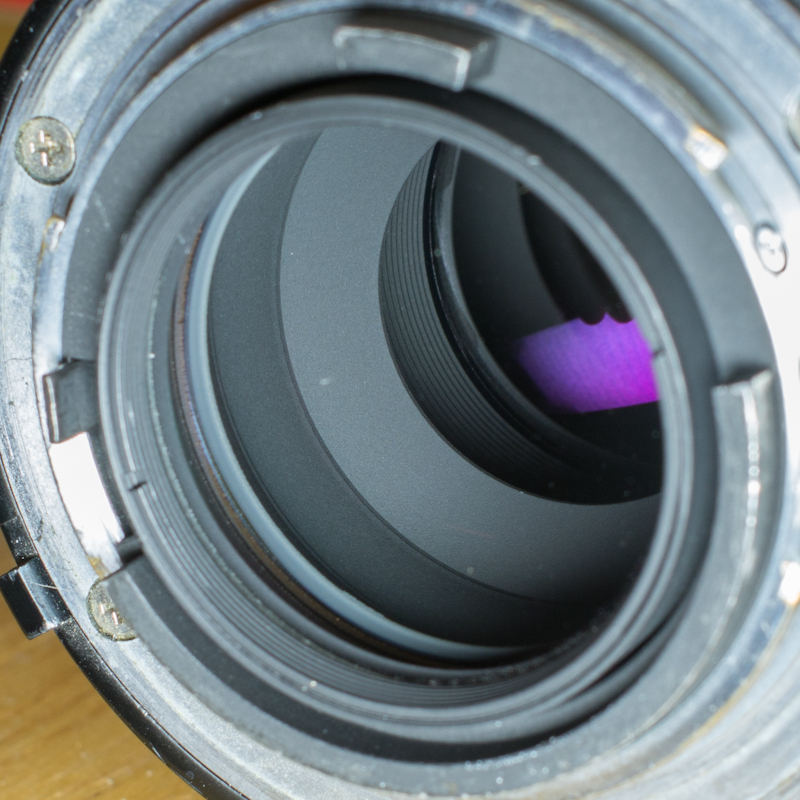 Though no lens is perfectly straight everywhere, the distortion in this lens is so small that it isn’t worth correcting, given you can even find any. Critical sharpness at all focus distances is at f/5.6, two to four times as fast as the typical f/8-f/11 of zooms. However, f/4 is almost as good! 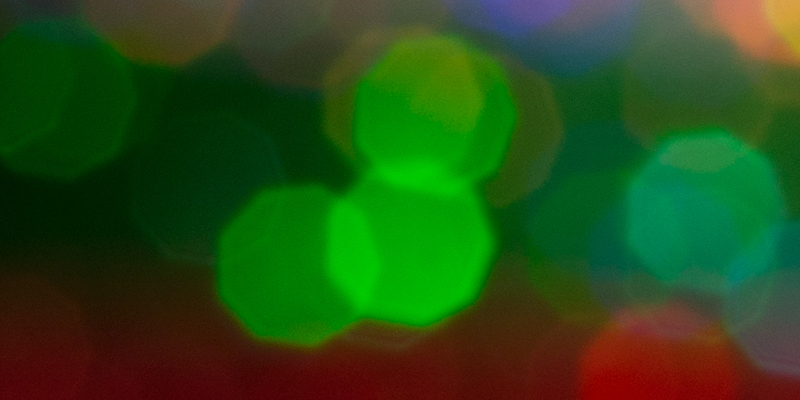 The only limit to image quality at f/2.8 is spherical abberation, but even at this aperture the corners are just fine. Purple fringing isn’t an issue wide open with 15 seconds of post-processing. In most circumstances it still isn’t a big deal even without editing. Nice description about one of my favorite lenses! Great work. Thanks eths, I’m honestly surprised just how well it performs. I wish I had some summer sports gigs to really put it to “my” ultimate test, though from your German baseball pictures I know it’ll do just fine! Great review, thanks. You are into a world all your own with these lenses and the NEX7. I really, really like my NEX7 and it’s extremely helpful to see, in detail, the results of taking things to the limit in new and different ways. I use the NEX almost exclusively now, except fot wide shots, for which I use the D700 with a Nikkor 17-35 f2.8. You can view some of my work at : flickr.com/photos/vacilando1. Did not know about the wide zoom. When, do you think? ‘ll probably get it, but will keep the D700 for extra long telephoto = 70-200f2.8 + x1.5 & x2 extenders together (600mm); works great on a tripod with VR off. I know! I didn’t mention that in the review, but even an option for a tripod collar would have been amazing for this lens! Interesting review! I was considering getting a NEW-7 for some travel photography. I now use a Nikon D200 & D700 with a bunch of lenses ( yes, I have the 180mmf/2.8 ). Will the NEX stop the lens down to shooting aperture or am I stuck shooting at my viewing aperture? Hey there Christian, glad you liked the review! The NEX-7 makes for a great travel camera due to the small size and light weight, without compromising on image quality (though, in fairness, it won’t even come close to your d700 for high ISO, but you already knew that). As to your question, when using a dummy adapter like mine (doesn’t transfer anything from the camera–>lens or vice versa) the aperture set on the lens is the aperture you see. This has advantages and disadvantages. The big advantage is that you always will have a constant depth of field and exposure preview, the real disadvantage is that if you want to get critical focus (by focusing wide open) and stop down, you have to stop down the lens yourself. The camera won’t do it for you. Personally, I like it a lot, the camera can’t screw anything up for me, and I never have to worry about stuck aperture blades! Also, keep in mind that if you want to use any lenses that DON’T have an aperture ring, you’ll need to get another adapter (like the regular Fotodiox, not the PRO) to set the aperture. Thanks for this review. 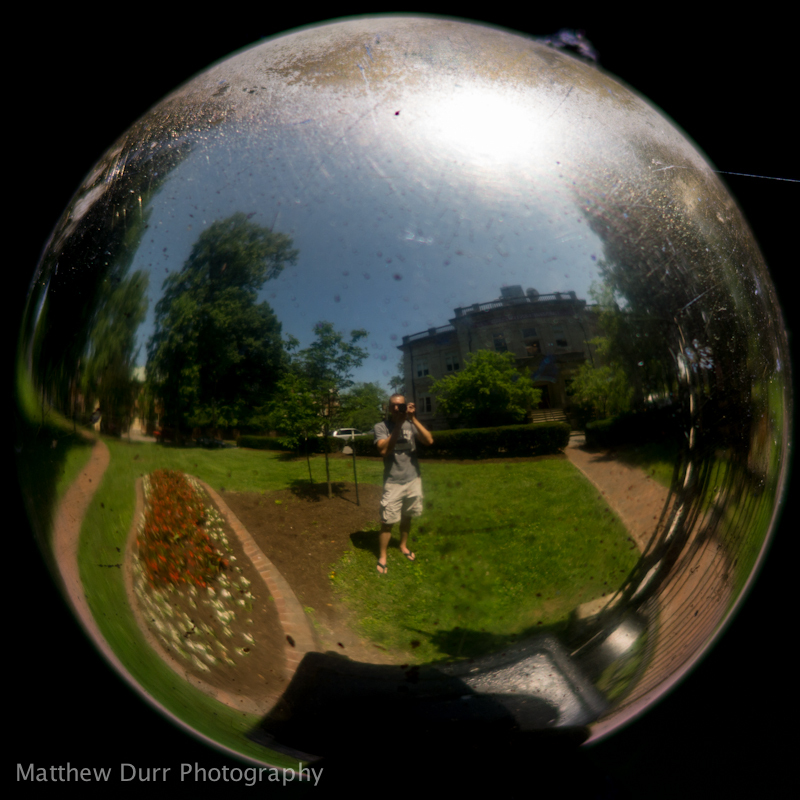 I just bought a 180 2.8 ais recently and use it on the Nikon D3. Fine lens on FX, although the bokeh is similar to the 70-200 2.8. Sharpness is OK. Rendering also fine like many ais lenses on digital. Unfortunately the Nikon D3 lacks the possibility of using a KatzEye focusing screen what makes manual focusing a lot easier. Glad you liked the review, and it’s good you got to read this confirming how good a lens it is. 🙂 I’ve heard it is actually sharper on a FF than on APS-C, so it’s interesting on your comment on sharpness. And on the focusing, I KNOW MAN! 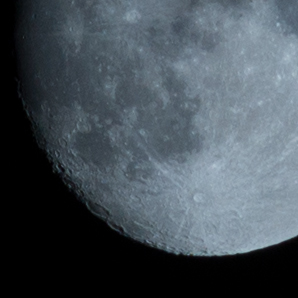 If I didn’t have peaking+magnification, I would simply not get reliable sharpness. It’s a shame you can’t get a better focus screen to get the most out of this lens, as wide open you can tell all the detail is there, it just lacks a bit in contrast. All the best Frank, thanks for dropping by. Working on the 35mm f/2.5 E next. Peculiar lens here. Hello Matthew your review prompted me to search and I found this, AF 180/2.8 D IF-ED Japan 5+ 3 row grip aperture ring (serial numbers 400001 400669 – 419070 19070 Dec 94 – 2005) Kindly advise as I intend to use it on N7, thank you. The AI-s version is of a simpler optical design (5 elements in 5 groups, compared to 8 elements in 6 groups of the AF-D) for more light transmission. The AF-D is a bit lighter than the AI-s. There is no rear element in the AF-D, which makes it hard to keep the internals of the lens clean. Also, the focus travel of the AF-D takes a full turn to go from infinity to about 30 feet. Since you can only use this lens with manual focus on the NEX-7, this is bad for quick focus acquisition, if you were to use it for something like sports as I do. Finally, the AI-s version is cheaper than the AF-D version as well. Matthew many thanks for your advice. I shall wait patiently for one! Good Morning Matthew I found this, Nikon 180mm f2.8 Ai Serial Number 363788 older than your Ai-s I will be grateful for your comment on this model, thank you. As always grateful for your technical/instructive input. Thank you. Greetings Matthew, patience is a virtue! I shall enjoy this toy Nikon 180mm f2.8 ais ed a late toy from the production line serial number 444xxx. Many thanks for your advice, review of lens and comments. Happy to hear that Y C, I hope you enjoy that lens as much as I still do. It’s my go-to lens for low-light telephoto work. Hello Matthew, noticed you use a Fotodiox PRO NF SONY, ordered one from Fotodiox Canada CND$59.95 plus shipping. Picture shows it has tripod mount, comments/advice, thank you. I actually need to update my review of that adapter. Unless Fotodiox is clearing out old stock of the one I have (and if it looks like what you are describing like mine), they are now selling a PRO adapter that has a built-in aperture control ring for using Nikon G lenses. Unfortunately in order to facilitate this new design the tripod mount was omitted. Funny enough, I was one of the main reasons they changed the design. 😉 I badgered them back in early spring that a G-compatible PRO adapter would be great. Seems it backfired just a bit. Many thanks for your review, it is quite motivating! I have the nex-5n and a normal Fotodiox just arrived on my hands, Now, I am looking forward to obtain this prime lens. Keep in mind hand-holding this lens on your 5n may be a tad bit more difficult due to the smaller grip and profile, though the images you’ll get from this lens may very well make it worth it. 😉 Just remember, hold from the lens, not the camera! This adapter works with my lens? Since your version of the 180mm f/2.8 has an aperture ring, the adapter you linked to should work just fine Filipe. just a question. the fish-eye-ish picture of you at the end; is that the natural history museum in LA? Yeah, I got my eye on this lens. 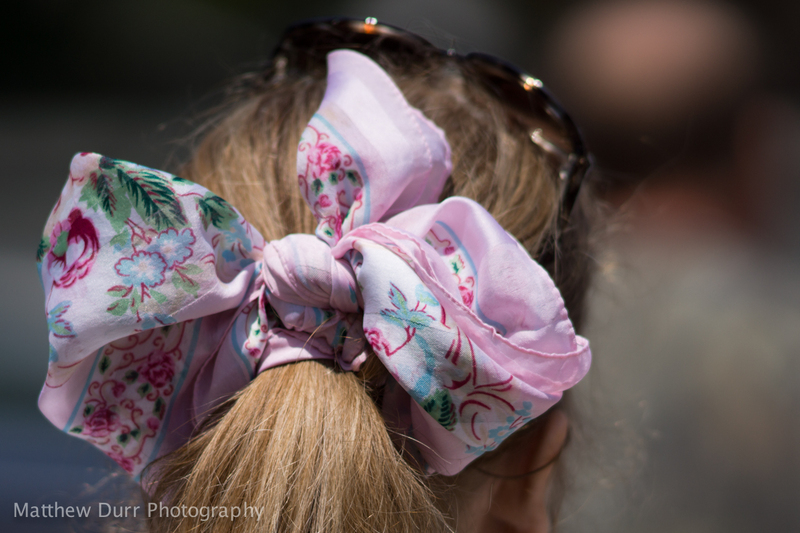 I have the 200mm f4 but I love the speed of this lens. Even with the weight. I’ve heard some great things about the 200mm f/4, but I’ve got to tell you: from what I’ve seen comparing the two lenses, the image quality even wide-open with the 180mm (not to mention the decrease in the depth-of-field) with its ED glass is spectacular. It has been my go-to lens for stage presentations and other documentary photography for a long time now. The only reason I would sell it is if I could use the money to put towards the 200mm f/2 AI-s ED! I am now waiting for the right moment to sneak a 180 f2.8 ( it’s waiting for me in the shop) past the eagle eye of the missus and into the camera bag, I can hardly wait to use it. Hehe, good on you for still shooting film! Good luck on sneaking a lens that big by the missus though. Keep in mind, make sure you get the “ED” version of the lens–the non-ED variant is optically inferior. And hey, I’ll keep up lens reviews as long as I have lenses to review! As soon as I get my camera back from the shop I hope to continue looking at my 105mm f/2.8 Macro and 85mm f/1.4! Hello Mathew, Further to my last mail, I picked up the lens the other day, I have had some great results, (I managed to get it by the missus although I was busted with the F3). I got the” ED”, original box, leather case, papers, it is MINT, it set me back US$270. By the way, I live in Japan, you can get great deals here, this lens may have never have been used, enthusiasts tend to look after their gear in a really loving manner, I think I was really lucky with this one. Thanks again for the review, it tipped the scales for me and made up my mind to choose this lens lens. Graeme that is fantastic news, and I do love the deals I see coming from Japan (were I to order them here in America, customs and other fees would stick me, hehe). Do yourself a favor and don’t go looking for any more problems after your original inspection, you’ll only worry yourself to death. 😉 Besides, at a price like that, I would be happy with less, even if it wasn’t mint! Keep on ‘a shooting, and enjoy that awesome telephoto! great website. Thanks ! I bought the 180mm ED 2.8 and love it. Just ordered the 85mm 1.4 I love that these lenses are still compatible with the current Nikon lens mount. Thanks Nikon ! Glad you enjoy the lenses! I still use my 85mm often, though it’s seeing less use now that I have the Laowa 105mm.